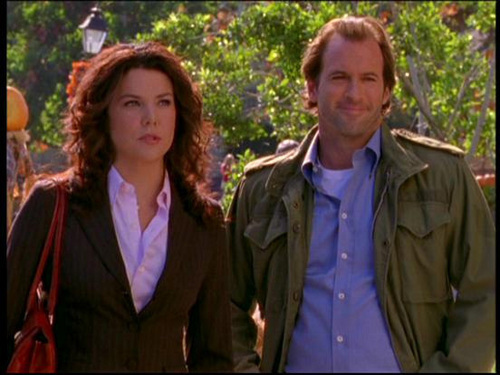 Luke & Lorelai (Gilmore Girls). . Wallpaper and background images in the 텔레비전 커플 club tagged: gilmore girls luke lorelai scott patterson lauren graham. This 텔레비전 커플 photo might contain 신사복, 비즈니스 정장, 잘 입고 사람, 정장, 바지 정장, 잘 차려 입은 사람, 양복, and pantsuit.